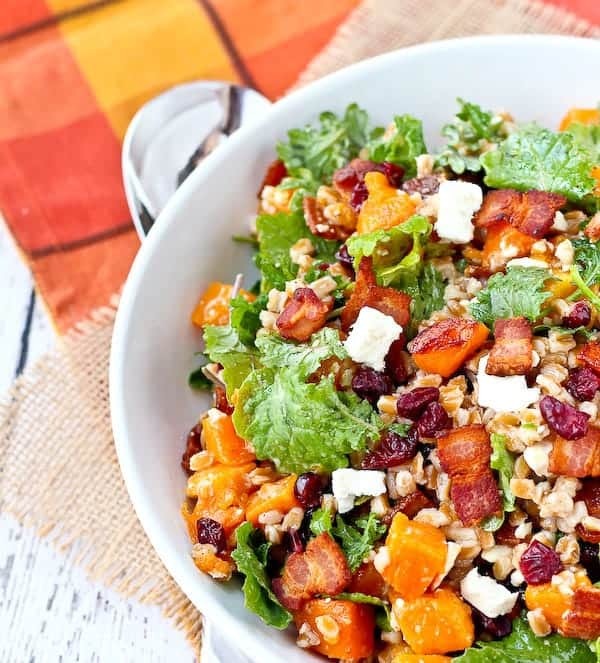 Farro Salad with Butternut Squash, Bacon, Cranberries, Kale and Feta. 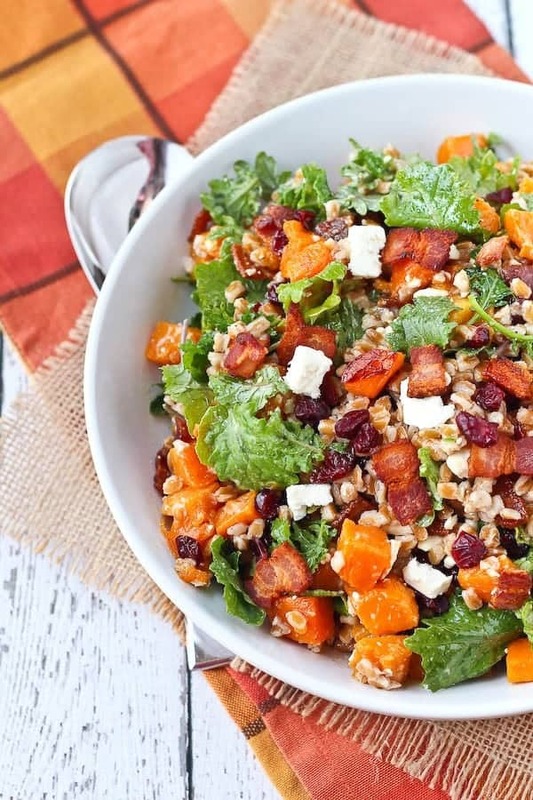 This hearty salad is fall in a bowl! So, today, as I write this (on Tuesday, November 3rd), it is 68 degrees out and sunny. 68 and sunny! In Michigan! In November! It’s basically a gift from God and the best thing ever. I wish we could have this weather all year round. I’m also on my 3rd and final day of a three day juice cleanse and may I just say, I’m happy I’m almost done. I’ve done a juice cleanse in the past and tried out a new one this time. I liked the other one better – the juice cleanse I’m doing now is tough to stomach. The juices are not so tasty. If you follow along with me on Snapchat (rachelcooksblog) you probably caught on to that. But I’m glad I did it – I feel rejuvenated and ready to really focus on healthy eating again. I’ve been slacking on my fruit and vegetable intake lately so I really feel refocused now. Hopefully I can stick with it. This farro salad with butternut squash fits the bill, I think. 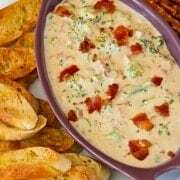 There’s a little bacon thrown in but a little bacon never hurt anyone! It also is preeeetty much the perfect taste of fall. Sweet squash, salty bacon, chewy dried cranberries, and flavorful feta. Some bright green baby kale makes you feel extra good about yourself. And farro – oh how I love farro. Chewy and delightful, the farro will keep you full for hours. The dressing also has tastes of fall infused into it. Warm cinnamon and sweet apple cider tie this salad together perfectly. 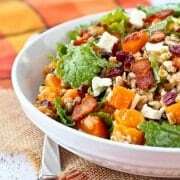 In a large bowl, mix together cooked and cooled farro, roasted squash, baby kale, feta, cranberries and bacon (leave bacon out if not serving immediately – unless you like soggy bacon). In a small jar or bowl, mix together dressing ingredients: apple cider, apple cider vinegar, mustard, cinnamon, olive oil, maple syrup. Stir or shake to combine. Taste and add salt and pepper as desired. Pour dressing over salad and stir to combine. Verdict: Obsessed with this salad. Husband’s take: I’m not sure he had any of this salad to be honest! I think this one was on my lunch menu. 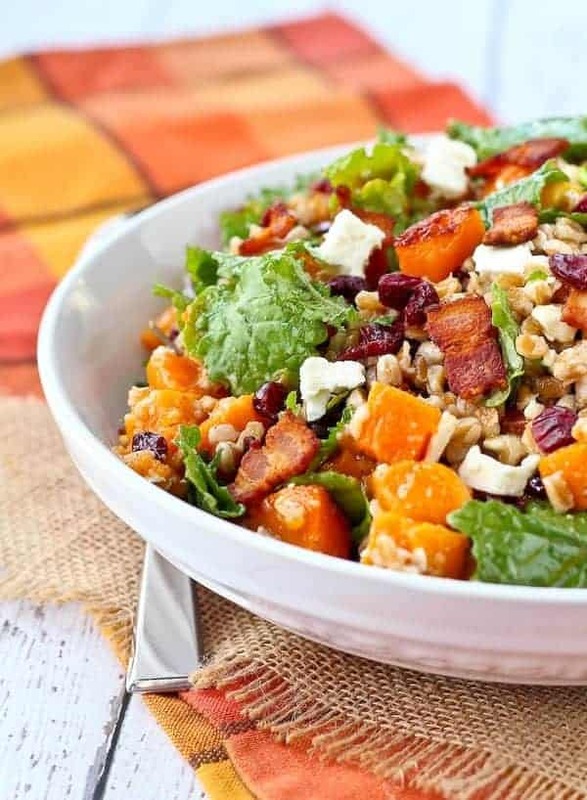 Craving more fall salads like this farro salad with butternut squash? Try: Farro Salad with Za’atar, Broccoli and Feta, Salad with Beets, Almonds and Feta (Okay I love feta! ), Quinoa and Wheat Berry Salad, Kale Salad with Pomegranate, Orange and Pine Nuts, Brussels Sprouts Salad with Cranberries and Apples (this one is perfect for Thanksgiving! ), Salad with Broiled Apples and Pecans, Salad with Apples and Cucumbers, Autumn Quinoa Salad with Maple Mustard Vinaigrette, Greek Farro Salad from Cookie + Kate, and Farro Salad with Creamy Vidalia Dressing from Healthy Delicious. <—- Okay I realize that’s a long list but I love a good salad and you can never have too many options, right?! If you’re still looking for more salads, I think we could be friends! 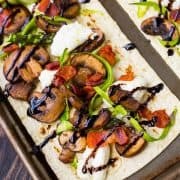 Also, you can check out my salad Pinterest board! Do you use one cup of farro after it is cooked or cook one cup of farro? I am so making this salad, it looks delish and love the flavour combos. Cook one cup! :) I hope you love the salad – it’s a good one! Such beautiful colors in this dish, Rachel! HELLLOOO most beautiful salad I’ve ever laid eyes on! Yes to that bacon! Drooling at the moment! I love everything about this!! 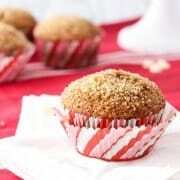 So seasonal and healthy, but also fun!